PHS was founded in 2001 by three long-time, passionate reptile enthusiasts with a vision to make a difference for reptiles in the state of Arizona. There were plenty of organizations to rescue many species of animals from dogs and cats to birds. However, there was no such facility or refuge for unwanted or rescued reptiles. 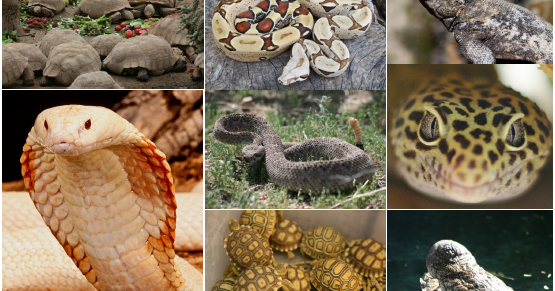 Reptile owners had no outlet to relinquish ownership if needed nor was there a resource to acquire accurate, reliable information on the care and husbandry of reptiles as pets. In addition, native and non-native species were being destroyed (Euthanized) by state facilities and other animal rescue agencies solely due to lack of knowledge regarding care and housing of these amazing creatures – native and exotic. In response, the Phoenix Herpetological Society (PHS) was launched. Today, PHS is a fully operational, 2½ acre rescue and rehabilitation center with an onsite reptile clinic and research center located in northern Scottsdale. A dedicated team of over 20 individuals volunteer regularly to maintain the sanctuary and care for hundreds of reptiles housed at the facility. PHS works with state and federal wildlife officials and law enforcement to care for and house unwanted or seized reptiles from across the U.S. Our education team sees over 200,000 people per year to educate them about the importance of reptiles all over the world.